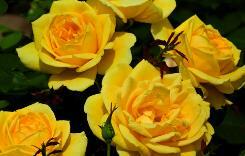 For many of us, fragrant is a must for roses. We can’t stop ourselves from sticking our noses into a rose, closing our eyes, as we innately know by cutting off our sense of sight only serves to enhance our sense of smell. When we are rewarded with a fragrance we breathe it in deep and nod as if confirming to ourselves all is the way it should be. It is then that we usually smile and want to share our discovery. Stop and smell the roses… perhaps this little old saying is more fitting in our busy world than ever. When you are shopping for roses the fragrance can be classified many ways and with many words; slight, moderate, mild, medium, gentle, etc. However if fragrance is really important to you, you need to look for descriptions such as strong, heady, intense and know that moderate, for you, will just not cut it. 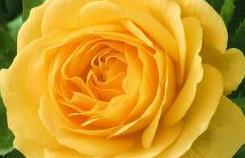 Julia Child selected this rose herself and it is fitting that its blooms are a delicious butter-yellow. The strongly fragrant flowers continue the “foodie” theme being scented licorice candy and spice. Super glossy green leaves with great disease resistance make Julia Child a wonderful floribunda rose. Loads of lemon yellow flowers with strong sweet spice and fruit fragrance make this vigorous and bushy grandiflora rose a delight. Don't let the delicate pink colour fool you… this rose shows the promise of strong disease resistance and strong fragrance. 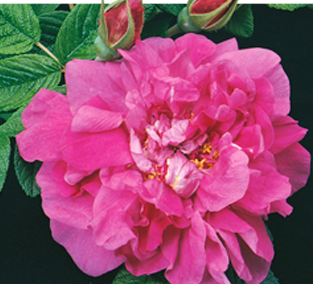 Brand new for 2013 and named to honor the 100 birthday of the famous rose breeder, Francis Meilland, the breeder behind the historic Peace rose. Francis Meilland hybrid tea rose has been chosen as the winner of the 2013 AARS (All American Rose Selection) and it is the first hybrid tea rose to win under no-spray conditions. The plant is tall with large double, classically formed flowers of beautiful shell pink. Strong licorice and lemon blossom fragrance compliments delicately shaded cream flowers with lemon hearts. 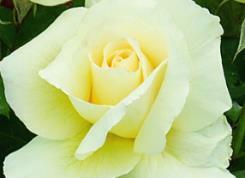 To keep things interesting warmer temperatures create whiter blooms while cooler temperatures lead to more yellow tones. Large classically formed roses sit atop the vigorous rose bush. 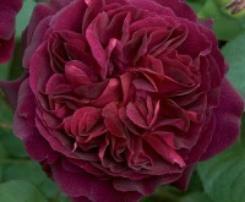 Large blooms of rich, deep, crimson carry the classic David Austin attributes of cupped shape blooms and a strong old rose fragrance. This is a wonderful rose named after the personal garden of the famous English gardener and writer, Gerturde Jekyll (1843-1932). Wollerton Old Hall has a rich strong myrrh scent and is considered one of the most fragrant of all David Austin roses (and that is saying something!) 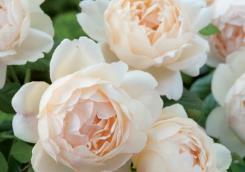 The delicate colour is creamy buff with hits of peachy-pink within the cup shaped blooms. Wollerton Old Hall can be grown either as a shrub or a climber of up to 8 foot. 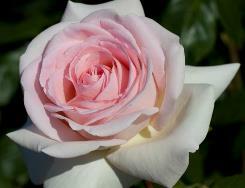 Masses of medium sized pure rose pink flowers are beautifully shaped and scented with a strong old rose fragrance. Harlow Carr is a very lovely shaped shrub with excellent winter hardiness. 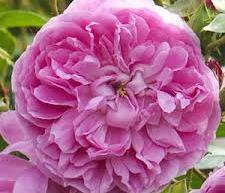 Tough as nails, impervious to black spot with a rich heady fragrance; Hansa has got to be the easiest rose to grow. Hansa is grown on its own roots and is very winter hardy too. The flowers are loose carnation shaped, the colour where dark pink meets rosy-purple and the fragrance is strong spicy clove. Whichever rose takes your fancy be sure to plant fragrant roses near where you can sit and enjoy their beautiful scent.